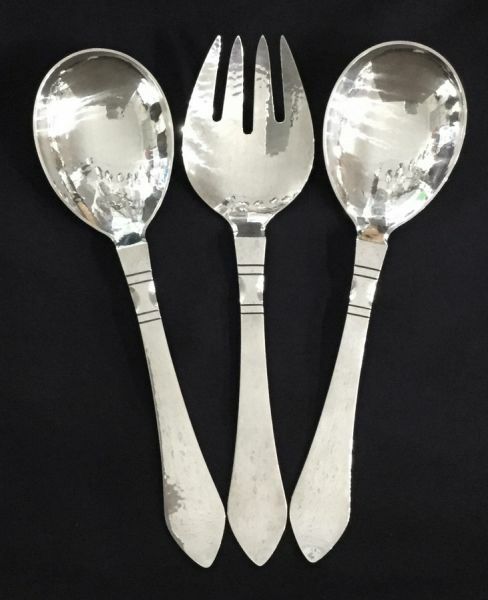 Georg Jensen sterling silver flatware set for 12. The pattern is Continental, designed in 1908. 12 place settings of 5, plus 3 serving pieces, 63 pieces total. The place setting fork is 7 1/4” long. The place setting knife is 8 3/4” long. 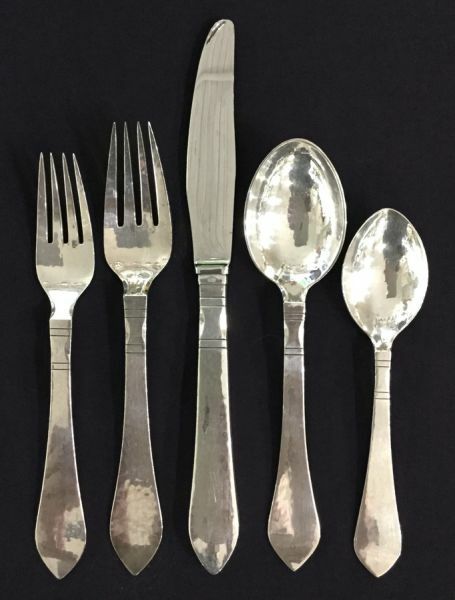 The serving spoons and fork are 10” long.